It is an inevitable truth that not every visitor to your website becomes a customer. Many times, a user browses through your site and leaves without any further interaction. To address this issue, the marketing industry has developed a technique that recaptures the attention of users and brings them back to your site to complete a conversion. This technique is known as remarketing and it has quickly become an important aspect of e-commerce marketing strategies. Essentially, remarketing gives you a second chance to catch a user’s eye after he or she navigates away from your website through advertisements. However, sending generic emails or displaying ads for your company on other websites is not always enough. Just like with other marketing techniques, the most effective way to bring users back to your site is through personalization. When remarketing efforts are combined with personalized ads, your likelihood of conversion increases significantly. For this reason, several tools and techniques are emerging to help you create these focused ads and ultimately grow your customer base. Your retargeting audience is different from your traditional audience. These users were already exposed to and expressed interest in your company and your products. As a result, this audience has a unique perspective and requires different efforts to create conversions. With remarketing, you are able to create a series of focused ads that display items these users previously viewed and interacted with on your site. Pixel-based remarketing. This refers to the process of installing cookies on a user’s browser so that your focused ads continue to appear on other sites he or she visits.The pixel-based approach works even if you do not have any contact information from your site visitors. List-based remarketing. This method requires you to have the emails or phone numbers of your remarketing audience. With this information, you can utilize social media platforms, search engines and even email services to display your focused ads to the right users. Remarketing has proven to be extremely effective in increasing company return on investments (ROIs), user engagement and brand awareness. However, each of these approaches has its pros and cons. In particular, pixel-based remarketing is not always as customizable as the alternative. While you can reach a wider audience, your audience may be exposed to ads that seem irrelevant. Meanwhile, list-based remarketing is highly customizable because you have user information to utilize. With this method, the more information you have about each user, the better you can tailor your ads to that individual. The downside is that highly targeted ads have the potential to irritate users if executed improperly. To help you limit this effect, you can take advantage of popular remarketing platforms that allow you to adjust your ads as needed. Several remarketing platforms exist to help you with your list-based remarketing efforts. Many of them allow you to create lists of users to target, add information about these users and manually adjust your remarketing approach as your campaign evolves. The most popular platforms include those offered by Google AdWords, Facebook, Instagram and Twitter. In addition to these options, there are several other remarketing companies that work with multiple platforms, like Facebook, to offer these services. These companies serve as middlemen to help you spread your remarketing strategies across several platforms at once. Examples of these companies include AdRoll, ReTargeter and Perfect Audience. Which company or platform you choose depends on the needs of your company. Standard remarketing, which displays general ads for users who recently visited your site. Dynamic remarketing, which promotes ads for specific items these visitors viewed on your site. Customer Match remarketing, which utilizes user contact information to display ads through email inboxes and other Google products. Video remarketing, which displays ads to visitors who viewed your video content. Remarketing with search ads, which allows Google to present your ad when a user searches for a product or service similar to yours. Social media websites serve as powerful remarketing platforms as well. Companies like Facebook, Instagram and Twitter give you access to millions of users with their retargeting services. Since Facebook owns Instagram, both require you to use Facebook Ads to control your remarketing campaign. The process involves installing a Facebook pixel on your site, which gathers information about user interactions. With this information, you can build a custom audience and adjust elements like gender, age, location and particular interests. This allows you to display relevant ads on both of these platforms for your remarketing audience. Twitter offers a similar service, known as Tailored Audiences. When you install a Twitter pixel on your website, it allows you to create cookie IDs for each user. This information is then matched to Twitter profiles so that you can successfully remarket your products on the Twitter platform. Studies show that when utilized properly, remarketing efforts can increase your likelihood of conversion by up to 70 percent. 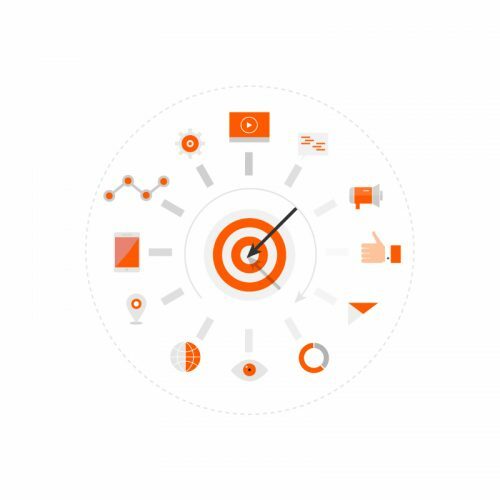 However, one important factor to keep in mind when planning your remarketing strategy is control. Improper retargeting can actually cause user irritation and hurt your customer loyalty. To avoid this, make sure to revise your remarketing audience list on a regular basis by removing customers that recently completed a purchase or viewed your thank you page. That way, your targeted users do not continue to see the same advertisement for a product or service they already received. Once you master the remarketing techniques that work for your business, you can begin to transform your audiences from casual browsers into loyal customers.